Mexican insurance thru MexicanInsuranceStore.com; Regulated Does NOT Mean Rated! There’s been quite a lot of buzz out there recently about Mexican insurance thru MexicanInsuranceStore.com rates and policies being all the same because they are Regulated. A handful of border providers have been claiming that the Mexico Department of Insurance regulates Mexican auto insurance thru MexicanInsuranceStore.com rates and policies. This is true, but they are spinning things this way to make people assume that they can safely buy UN-rated bare bones Mexican insurance policies at the border. The sales implication is that car insurance for Mexico from Mexican Insurance Store costs the same wherever you go, and all policies are the same, but nothing could be further from the truth. Prices and coverage are NEVER the same in Mexico. Each and every Mexican insurance company offers different terms, conditions and prices, and it definitely pays to shop around. Regardless, the wise Mexican auto insurance thru MexicanInsuranceStore.com shopper thinks about stability, terms, conditions, price and value. When trying to sell a weak policy some Mexican auto insurance providers claim that it doesn’t really matter where you buy your insurance. After all, they say, it is regulated – implying that all policies are the same so all you need to look out for is the lowest price. That’s inherently false! It definitely pays to do some comparison shopping for terms and conditions, as well as price before you make this purchase. That point alone rules out the possibility of buying car insurance for Mexico at the border. You can’t do any comparison shopping at all when you’re at the border, so your risk is far greater to be taken for a ride. Savvy travelers compare and contrast several A-Rated Mexican insurance thru MexicanInsuranceStore.com policies online offered by financially stable insurers and buy one that suites their needs before they head south of the border. Unrated bare bones policies provided by small Mexican insurance companies at the border are sold all the time for basically the same premium as a stable, comprehensive policy with much , much better coverage. The Not Rated (NR) designation is assigned to companies that choose not to be rated by A.M. Best. Please note: Since it costs approximately $10,000 per year to be rated by A M Bests worldwide, you have to wonder why would any multi-million dollar insurance company choose to remain unrated? After maybe hearing from your neighbor that Mexican insurance rates and policies are the same wherever you go, you may assume that you can just buy it from the first booth or shack that you run across. Heres the thing: Rates vary by considerable amounts depending on many circumstances. In fact, its not unheard of for one provider to charge up to 100 percent more for the same policy with the same exposure while providing much less coverage. They get away with this because of the common misconception that rates and policies are the same everywhere. After all, thats the way it works in the US so why not Mexico? Wrong. Unfortunately, some providers will try to take advantage and luckily, you don’t have to fall for it. When comparison shopping for regular US or Canadian car insurance, you aren’t likely to see major disparities in coverage. 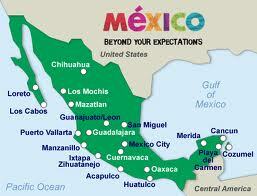 That’s not true about Mexican auto insurance thru MexicanInsuranceStore.com. You are sure to be flabbergasted when you see some of the variations in coverage and terms and conditions from one Mexican insurer to the next. For example do you wish to be forced to repair ONLY in Mexico? Or would you like to be able to repair in the US or Canada as well? Do you understand the meaning of partial theft. Don’t be blinded by the hype. Make sure to read the fine print and to fully understand the details and features of a policy before buying it. You dont want to end up owing more than you were expecting. As long as you are careful, you should be able to land a fair deal. Mexican insurance thru MexicanInsuranceStore.com “Regulated” Does NOT Mean “Rated”! Previous post: Mexican Insurance; Separate The Truth From The Lies! Next post: Mexico car insurance at Mexican Insurance Store.com; Comparing Apples to Apples is Important!